Yes, tourist shuttles are a super convenient way to get around. However they are also really expensive, usually, about double the price of local transport and they are usually not twice as fast. So one of my best budgeting tips is to take local transport where you can. 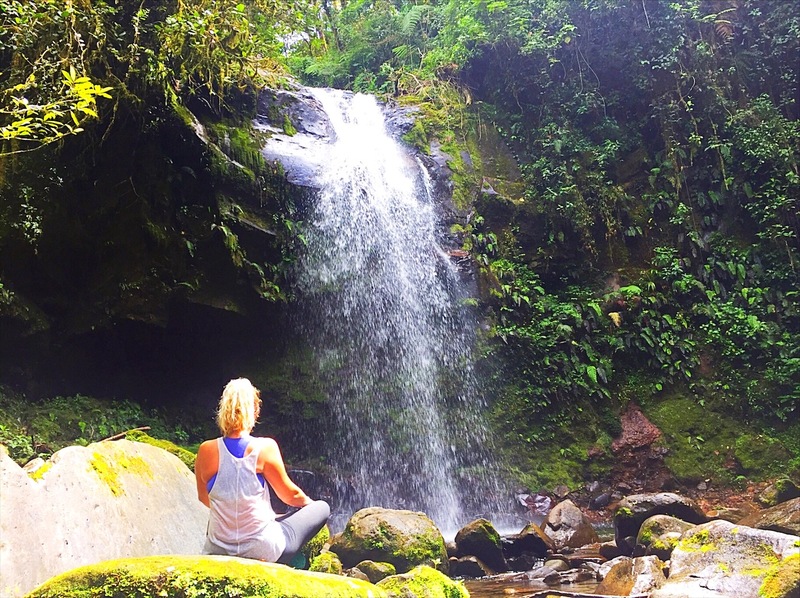 The shuttle from Santa Catalina to Boquete will set you back at least $35. 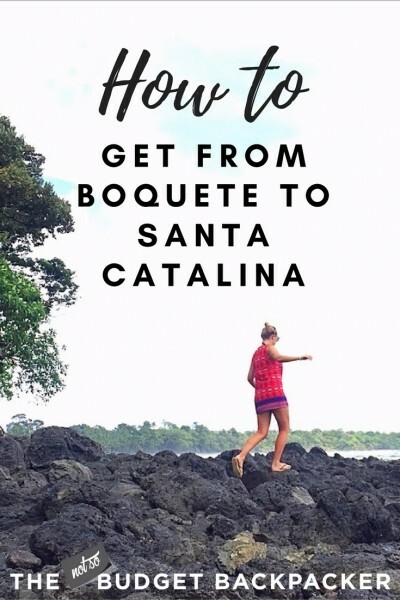 And while it does only take 5 hours here’s how to get from Santa Catalina to Boquete or Boquete to Santa Catalina for less than $18 in 6 hours. Read on for my step-by-step guide. The Buses from Boquete to David leave every 20 minutes from the centre of town. The 45-minute journey will cost $2 USD. And they even have a TV blasting wicked Latin American music the whole time. You can pretty much have your own dance party on the bus! Once you arrive at the terminal in David ask around for the bus to Santiago. The buses from David to Santiago leave once or twice every hour from 6:30 am until 9:30 pm so you won’t have to wait long for a bus. This three-hour journey can get very cold as they blast the air conditioning. so make sure you bring a jumper. Thankfully this next ride is rather short. Only 45 minutes. The buses from Santiago to Sona leave every 20 minutes. So once again you won’t be waiting long. Once you get off your bus the driver should be able to direct you to the next bus to Sona. The bus from Santiago will drop you at the terminal in the tiny town of Sona. Hopefully, there will be a bus to Santa Catalina waiting for you once you arrive. However, they don’t run very frequently (just at 5 am, 12 pm and 4 pm) so you may have to wait 30 minutes to an hour. But don’t fret there are a few local restaurants around and the bus terminal has free WIFI. 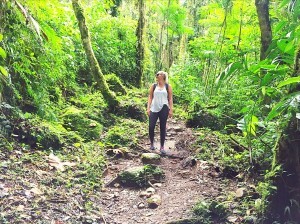 Which makes the journey from Boquete to Santa Catalina all the easier! The bus from Sona will drop you on the main street (or should I say the only street in Santa Catalina) from here you’ll be able to walk to your hostel or hotel. Or if you’re lucky enough and your hotel is before the bus stop just yell out ‘parada’ and they’ll take you to your doorstep. Please note, you can find the complete schedules for all buses here. 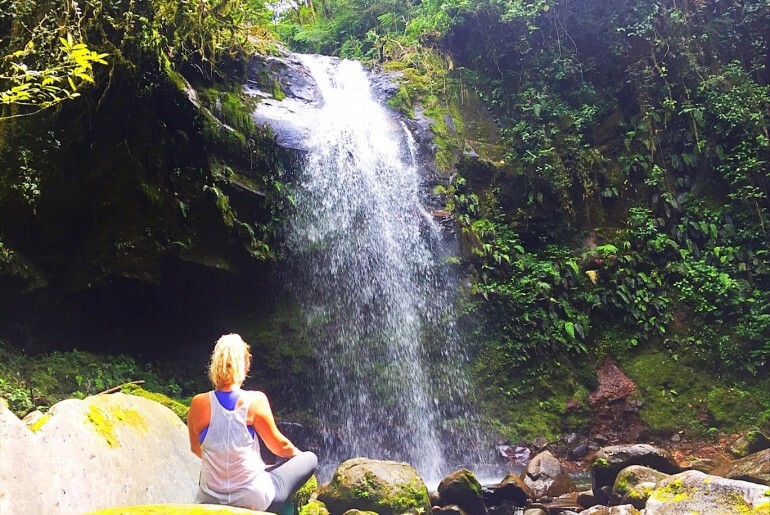 All Over The Boquete To Santa Catalina Bus And Want More Of Panama?